A friend of mine once declared it’s not a party ‘til someone opens a bag of cheese puffs. I say, it’s not a party ‘til a horse shows up. When my son Quinn turned eight this summer, he wanted to celebrate with friends in nearby Rock Creek Park with a hike to the creek followed by an endless game of kickball. He got all that (plus cupcakes and a lot of poison ivy). He also got a visit from: Stonewall! 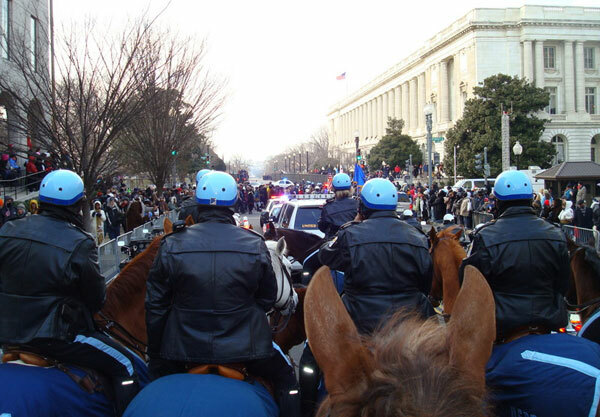 I have a fondness for park police horses. Up close, Stonewall is a mighty fortress of a horse just as his name would imply. And he’s just as immoveable as a stone wall, too. Surrounded by kids, he stood still with barely a swat of his thick chestnut tail. 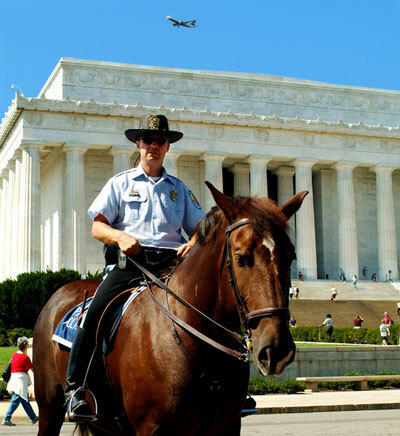 He’s as bombproof as they come, which makes him great at his job as a park police horse here in Washington, DC. 15-year old Stonewall has had a long and varied career. 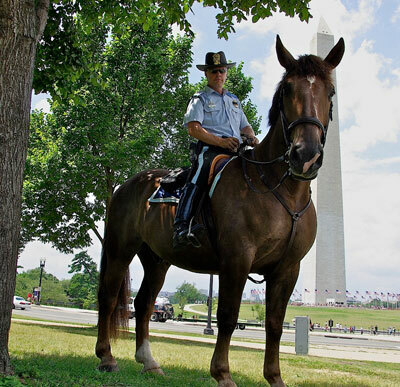 The Percheron/TB cross started out in Amish country in Pennsylvania, had a career as a therapy horse in Northern Virginia, and went on to a life of foxhunting in the Old Dominion before being donated to the park police. After a 90-day assessment at the park police training facility, he was brought onto the force. In the training program, he was taught to not blink an eye at crowds, the different types of pavement he’d have to walk on, and buses and cement trucks. He and Officer Giebel partnered up back in 2006. Their first beat together was on the C&O Canal in Great Falls National Park in Maryland. “This horse does good police work,” Officer Giebel says. “He knows when to stop and stand when I’m dealing with suspects. I can let the reins go and jump off him and he’ll stand there.” And Stonewall still does therapy work too. 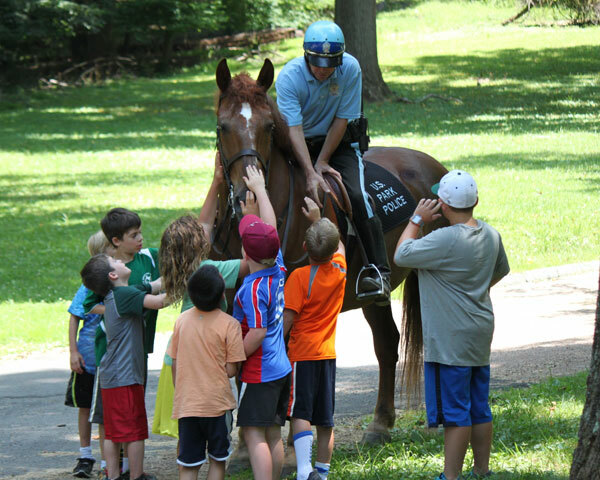 He’s the only park police horse that does therapeutic riding work, carrying wounded veterans. 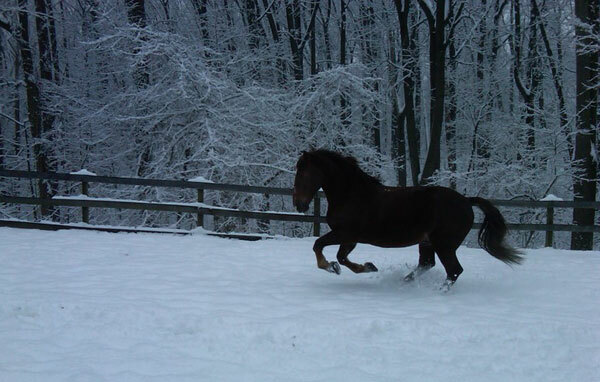 What a great horse! What a great story, it is nice to here how wonderful they are. We need to realize how much they do for us. 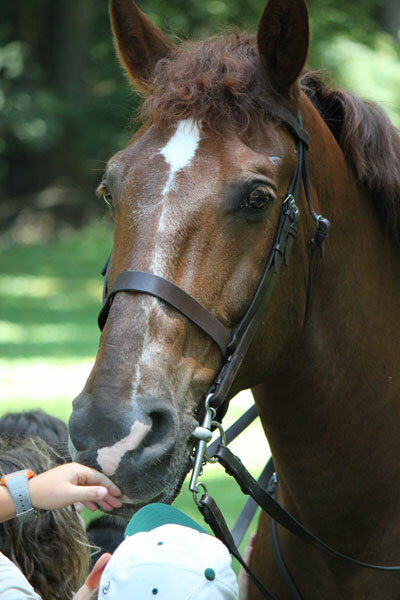 I rode Stonewall before his owner donated him to the Natl Park Service. He’s a wonderful horse. Great to see him appreciated. Now I’m writing at Callithea Farm in Potomac, Maryland. Great place to board and ride.